Disabilities Programs are for both youth and adults. WHAT Participants come and enjoy a short swim followed by a social gathering afterwards. The pool is equipped with an accessible water chair lift that lowers participants into the water. For those who do not want to swim, feel free to socialize with other participants in the program room. Board games, cards, arts/crafts or just interesting conversation are always available. Light refreshments and healthy snacks are served. 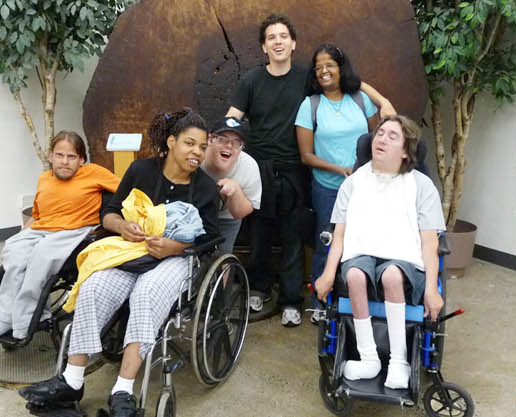 WHAT The program uses a variety of theatre techniques including popular theatre, verbal and non-verbal, role-playing movement and scene building. 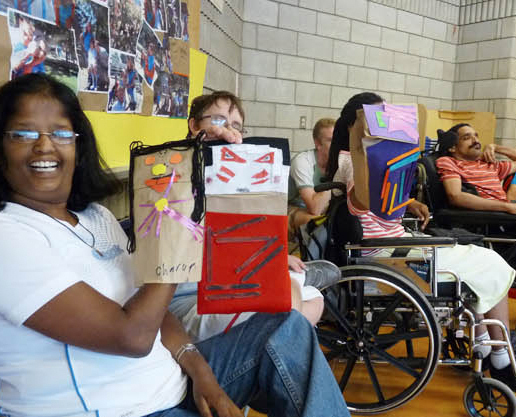 WHAT The program uses a variety of theatre techniques including popular theatre, verbal and non-verbal, role-playing movement and scene building. The program includes informative workshops related to theatre, field trips, guest speakers, and guest performers. 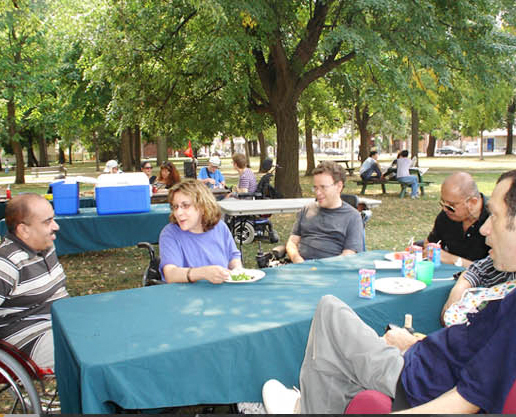 In addition, Scadding Court strives to create an inclusive environment for everyone. We welcome requests for participation and do our best to accommodate everyone.